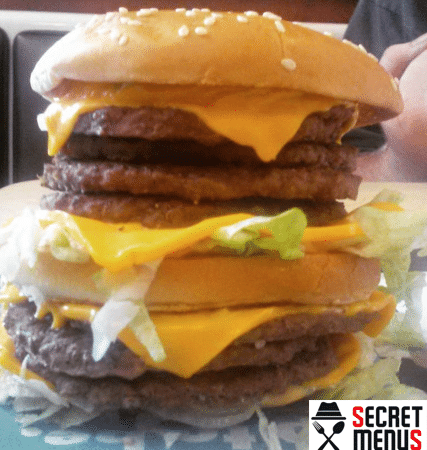 The McDonald’s secret menu has generated a lot of hype recently, with headlines airing its big name secret menu items like the McGangBang, the Monster Mac and McKinley Mac as some of the favorites on their unknown list of combinations. Depending on the time McDonalds starts serving breakfast and which day you show up, there may be more options. The rest of the list, however, may even be more innovative than its big name items, so check out what more the McDonald’s secret menu has to offer below. 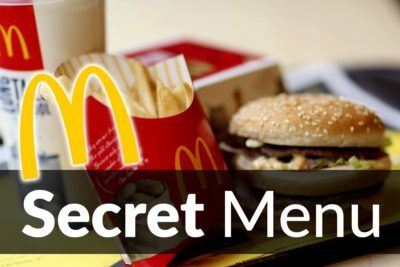 What is on the McDonald’s Secret Menu? 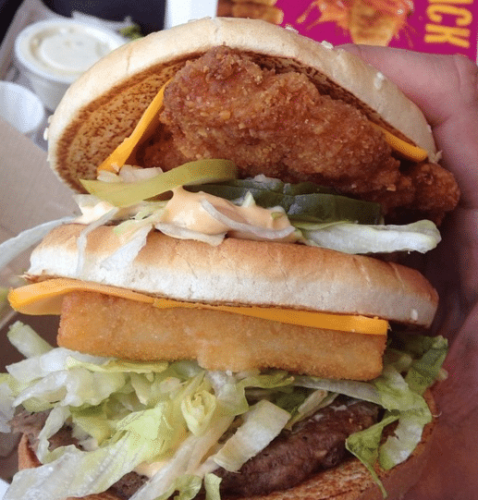 The concept, similar to that of KFC’s infamous “Double Down” packs beef between McDonalds’ tender McChicken patties. With this crazy, secret option comes the ability to pack either a Big Mac or a McDouble between the chicken patties. Go big or go home, in my opinion, but either offers any meat lover a delectable combination of some of the best sandwiches McDonald’s has to offer. 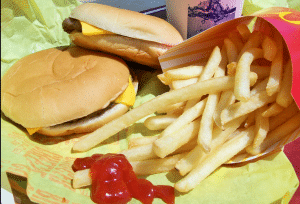 Once an item on McDonalds’ old menu, this secret menu item offers a relatively cheap way to quench a hearty appetite. It provides two classic cheeseburgers, fries, and a drink, adding that extra bit that will make the bigger eaters full as can be. Nothing special or crazy, just an extra burger for minimal price. In my opinion, it should never have been taken off the menu, but hey, anyone can order it. Try it at any McDonald’s today! Warning: this product has limited availability, most tailored toward the South. That being said, it’s highly popular among those that have tried it. For this reason, we highly recommend giving it a taste test if you can get your hands on it. 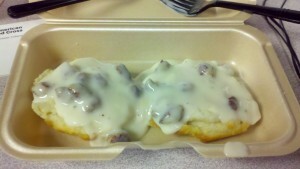 The name says it all: for just two dollars they give you a warm, soft McDonalds biscuit drenched in delectable sausage gravy. Whether you’re looking for a delicious southern dish or just a cheap Thanksgiving side, McDonalds is the place to go. Animal Style fries, move out of the way. 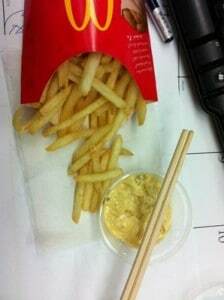 McDonalds’ world-renowned Big Mac has forfeited its sauce to the crispy golden french fries for an all new eating experience. Most of the time, they won’t even charge you extra; just ask for the Big Mac sauce on the side when you order your fries. I’m not sure why this isn’t on the menu and why this hasn’t replaced ketchup across the world. Either way, it’s a possibility to order and I highly recommend it. Combine the meats of every element to form an epic but monstrous marvel of meat. 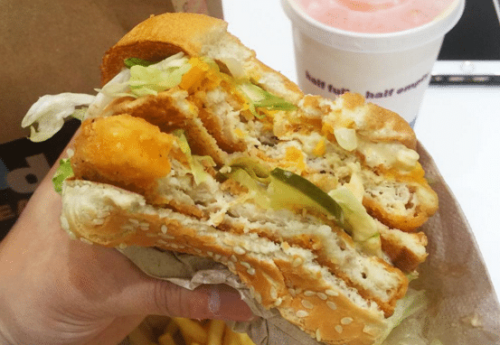 Take beef from the land, fish from the sea, and chicken from the air, and pile them up between a few buns, and you have the Land, Sea, and Air burger. This is not for the amateur eater. Even the smaller, McDouble version (which lacks the signature Mac sauce and the bun in the middle) is a stack of three meats that pushes the jaw to its full potential. All jokes aside, this burger is actually an item that you can try out, though I wouldn’t recommend it to anyone with less than a ravenous appetite. Ask for the Land, Sea, and Air Burger, and see for yourself if you can conquer it. It takes timing to get your hands on this savory breakfast-lunch combination. Only available during the window between 10:30 and 11:00 am, this treat combines the best of both menus, the Egg McMuffin and the McDouble. The optimal time to order this is at 10:35, just after breakfast is closing, hence the name. 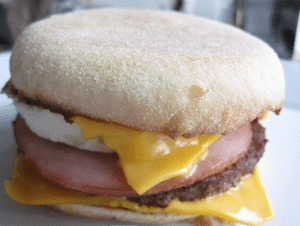 The trick is to order an Egg McMuffin and a McDouble, then do the engineering yourself, by putting the beef patties inside the McMuffin for a marvelous miracle of meat. It’s no easy feat to get your hands on this unique, handmade secret menu item, but it’s worth it to make the best fast food brunch on the market. Looking to class up your McDonalds dining experience? Tackle another “do it yourself” secret menu item and create your very own McCrepe. 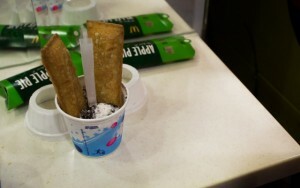 This one is only available during breakfast hours at McDonalds, but it’s a simple order: a hotcake and a yogurt parfait. 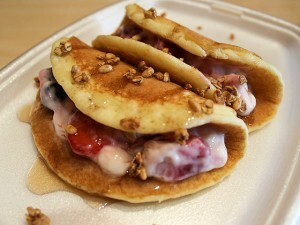 Then just dump your yogurt parfait into the hotcake and make your own McCrepe. It doesn’t sound gourmet to me, but it’s received great reviews. Give it a try yourself and see what all the hype’s about. One of the most well-known secret menu items, this vulgarly named but tasty meat combo is a huge meal, giving you a lot of bang for your buck. Just order a McDouble and a McChicken, both on the dollar menu, and put the McChicken between the beef patties to try it yourself. Not quite as big as the behemoth Land, Sea, and Air Burger, this is a nice step down that allows a hearty eater to quench their appetite without immobilizing themselves. It’s a cost-effective way to get a burger that outsizes a Big Mac. To mimic the Big Mac, ask for some Mac sauce with your fries and you can spread it on the burger for the ultimate dining experience. 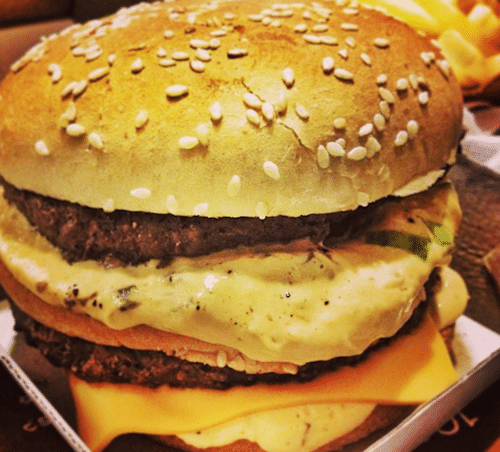 Do you ever find yourself feeling unsatisfied or still hungry after devouring a Big Mac? Then this burger may be the answer to all of your problems. The typical Big Mac, comprised of two 1.6 oz 100% beef patties, has nearly unmatched popularity among fast food companies across the world. But for those who love the Big Mac taste and toppings but want more, there is an option to get more bang for your buck and fill yourself up. The McKinley Mac is all that the Big Mac is and more: instead of 1.6 oz patties, it has two quarter-pound patties, making for a monstrous meal that is sure to fill up the most ravenous appetites. 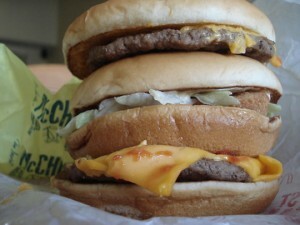 Ask for a Big Mac with quarter-pound patties, or if you know they make McKinley Macs regularly, just call it by name. Either way, brace yourself: you’re in for a culinary roller coaster. Not just two patties, not just four, not just six, but a whopping eight beef patties all crammed into one giant Monster Mac. This jaw-dropping creation lacks widespread popularity, simply because the market of consumers who have the stomach to finish 8 patties at once is so small. To order, simply ask for the Monster Mac, or if they aren’t sure what you’re getting at, say you want a Big Mac with eight patties. Prepare for a hard-fought battle to down an entire Monster Mac. If you can do it, you’ve earned my respect, and probably heart disease too. Okay, maybe I’m kidding, but making the Monster Mac a regular ordeal may not be the best idea. Either way, giving it a try is something every avid eater should have on their resume. What are you waiting for? 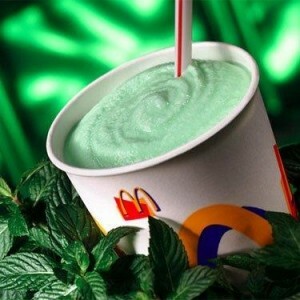 Only available in March, this delicious Mcdonalds mashup blends the Shamrock Shake with a Chocolate Shake, forming the ultimate minty treat. Any avid mint chocolate chip ice cream fans reading this should thus be on the edge of their seat. All the goodness of your favorite ice cream is blended into one smooth, delicious shake available for only a few bucks at McDonalds. Get in line on March 1st and try one yourself. Why just get one flavor when you can have all three? 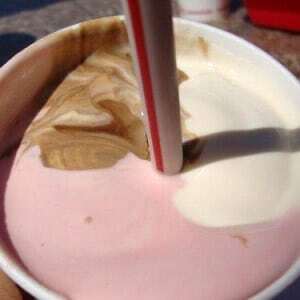 The classic neapolitan style milkshake is no fable at McDonalds. It’s as simple as asking for a Neapolitan shake, or if they don’t understand, just ask for a blend of chocolate, vanilla, and strawberry milkshakes. This is the dessert for you if you’re looking for a classic flavor at a contemporary establishment. Give it a whirl and bask in the glory of traditional tasty goodness. People often argue about what’s the best topping for a McFlurry. They’re all wrong. As tantalizing as an Oreo McFlurry is, as classic as an M&M McFlurry is, and as irresistible as a Reeses McFlurry is, not one of them can beat the Pie McFlurry. A slice of warm, soft, sweet pie is blended into the McFlurry ice cream, making the ultimate hot-cold combination of flavors. Give it a whirl and you’ll be hooked just like me. Your secret menu is missing the round egg on any egg sandwich instead of the fake egg that they put on most of their sandwiches in the morning. This can be done at most locations and pretty much for free.